MoreBeer.com Coupon Code Description: This MoreBeer.com Promo Code will save you $7 on a copy of the popular homebrewing software BeerSmith. Beer Smith homebrewing software takes the guesswork out of brewing and designing homebrew recipes. BeerSmith comes with a sortable recipe database, beer style guidelines, populated ingredient database and dozens of brewing tools. Beer Smith v2 is an essential tool for any brewer that is interested in creating their own beer recipes. The integration of recipe formulation, preparing proper yeast starters, calculating out mash cycles, and setting up proper fermentation temperature control schedules is truly a work of art. You are able to add new malts, hops, yeast and more to your inventory. Beer Smith v2 is suitable for the beginner to advanced home brewers. 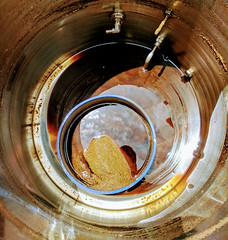 It includes tools for extract, partial mash and all grain brewers. BeerSmith is incredibly easy to use with unlimited undo, simple web-like navigation, a preview pane and a no-nag interface. Includes over dozen standalone tools in addition to recipe analysis that is fully integrated with the recipe system. Equipment databases let you set up your equipment once and use it multiple times. This BeerSmith homebrewing software promo code was found at homebrewingcoupon.com. Coupon Description: Williams Brewing is offering a promo code right now that will save you 20% On a home brewing wort chiller. This is the best home brewing deal around when it comes to a home brewing wort chiller. This is a high efficieny counter flow homebrew chiller. It features a pure copper pipe unit with hose barbs for both wort and chilling water. It is an extremely efficient chiller. It can chill 5 gallon batches in one pass, as long as your cooling water is 60° F or less. It is far easier to clean than a plate chiller, and much more efficient than an immersion chiller. Save 50% At MoreBeer.com with this MoreBeer Promo Code! MoreBeer.com Coupon Code Description: More Beer currently has an incredible promo code going that will save you 50% on select beer recipe kits and home brewing equipment. Click the More Beer coupon link to see all of the home brewing items that qualify for this limited time MoreBeer coupon. 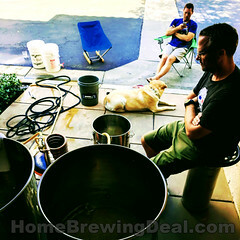 MoreBeer.com Coupon Code Description: MoreBeer.com has a deal going on their complete BrewBuilt home brewing systems that can save you $500! This is an easily assembled all grain home beer brewing system that ships free to your door! 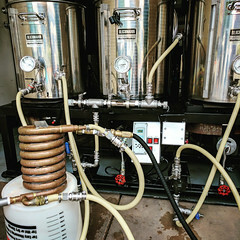 Youl get 3 Brew Built Afterburner home brewing burners, connecting hardware, 3 BrewBuilt kettles to be used as Mash Tun, Boil Kettle, and Hot Liquor Tank and all of the fittings and tubing you’ll need. This homebrewing system was made in the USA from 304 stainless steel. The Brew Built After Burner is a sturdy burner that will boil beer quickly and support the largest kettles with ease. BrewBuilt brew kettles, made from 304 stainless steel. They offer an unparalleled mix of features for the price. At the very top of the list are two welded-in place couplers that offer a lifetime of leak free use. As you can imagine, welding in a coupler costs more than punching a hole and using a gasketed fitting. Welded fittings offer a permanent connection that to us is worth every penny. This notch allows you so much flexibility; you can use an immersion chiller, one of our Ultimate Sparge Arms for mashing, tie off hop bags, take a temp reading during cooling, or whatever else we all can dream up. 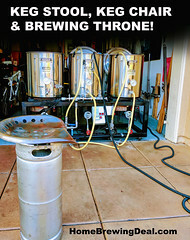 MoreBeer.com Coupon Code Description: use this More Beer deal of the day home brewing promo code and save $5 on a fermentation heater! This fermenter heater will help keep your yeast happy and your ferment warm during those cold winter months with this flexible heater wrap! Depending on your configuration and insulation, you can increase the temperature of your ferment from 5-20 degrees. With 40 watts of heat spread over almost two square feet it provides gentle even heating. Draws 40 watts. 115V. MoreBeer.com Coupon Code Description: Use this MoreBeer.com promo code to Get A Beer Bug Fermentation Monitoring System For Just $49! Monitor your fermentation remotely with the Brew Bug! Whether you’re across the room or across the country, keep tabs on your fermentation with the click of a button. Coupon Description: From now until 10-18-2018 NorthernBrewer.com has a Promo Code that Saves You 15% Off Of An Order Over $150! There are some limitation to this Northern Brewer promo code, click the link to take advantage of this Northern Brewer Coupon and to view all of the details.